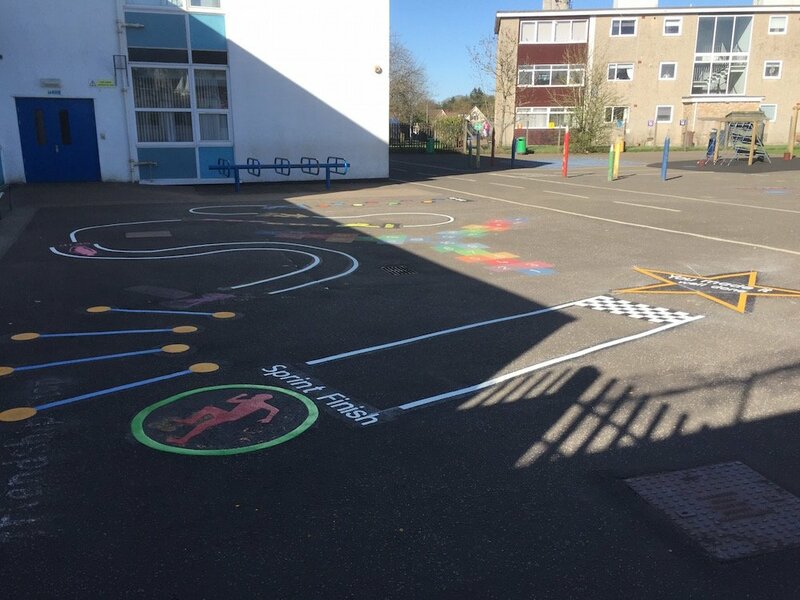 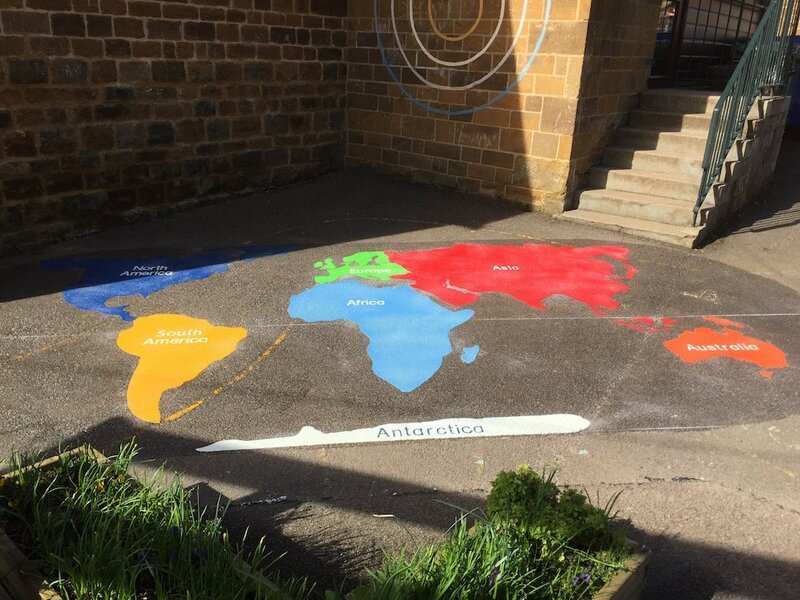 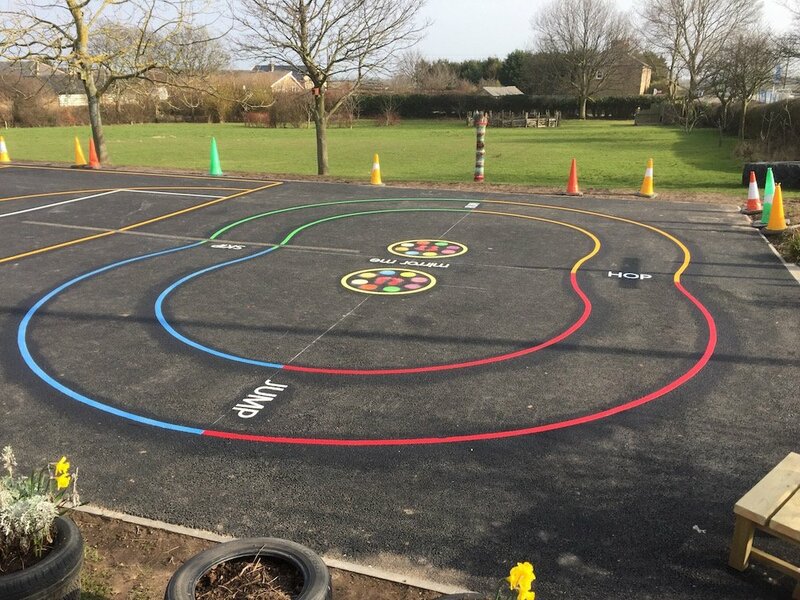 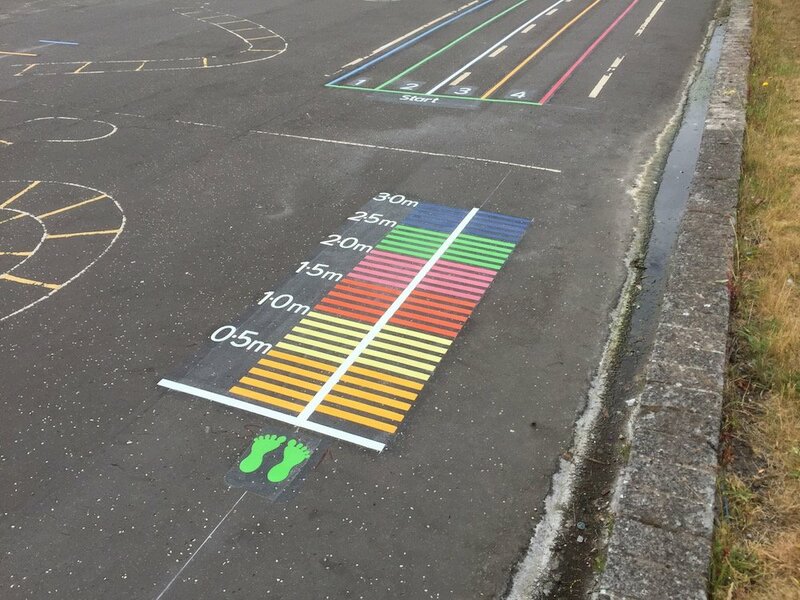 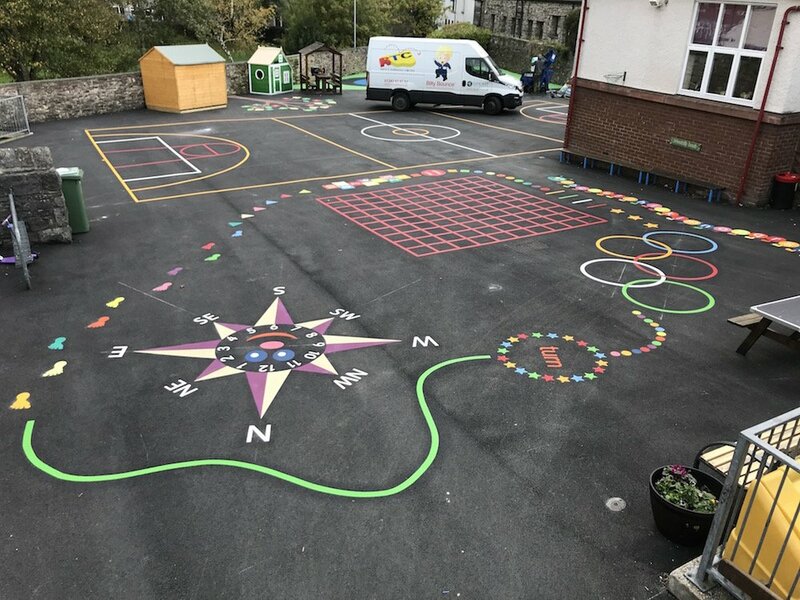 New Playground Markings at a Primary School in Manchester. 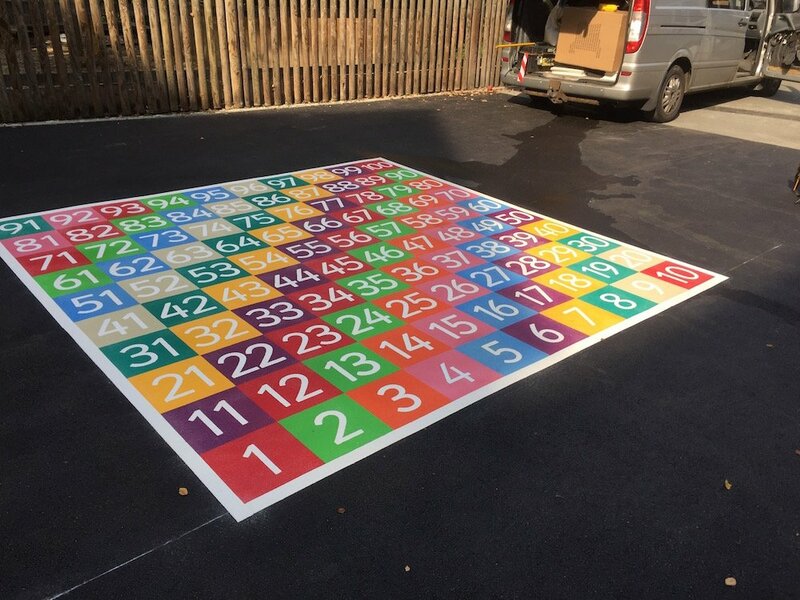 first4playgrounds installation team just completed a range of Thermoplastic Playground Markings at a Primary School in Manchester. 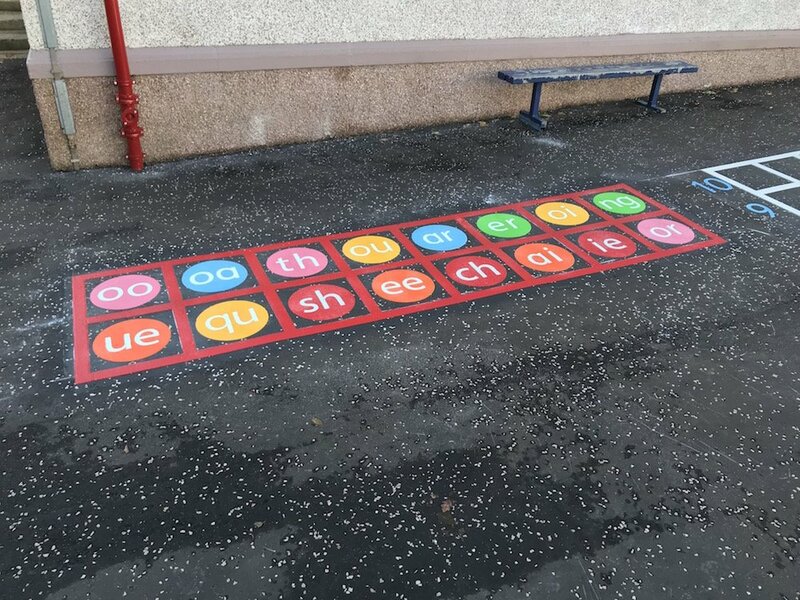 The job consisted of an A-Z Spiral, a 1-20 Crocodile, and a 1-64 Snakes and Ladders. 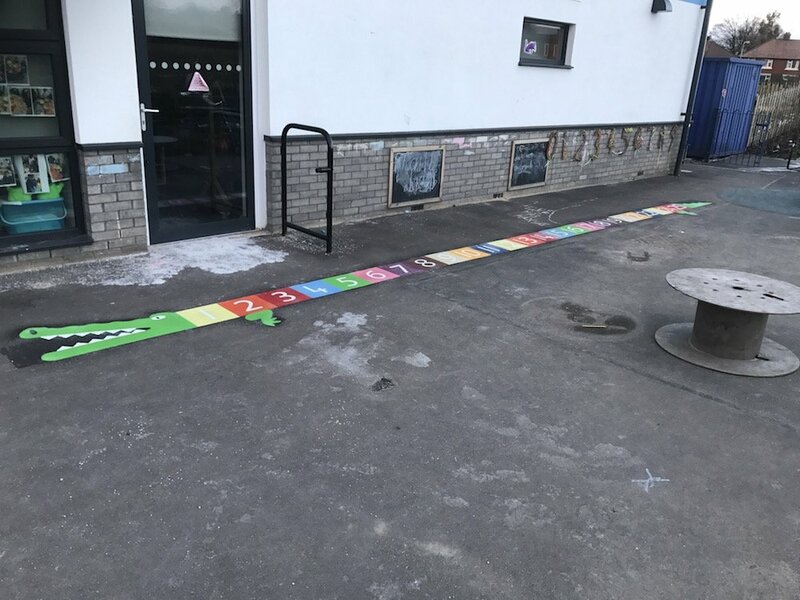 Unfortunately this was the week of ‘the beast from the east’ so there was lots of snow shovelling for the installation team! 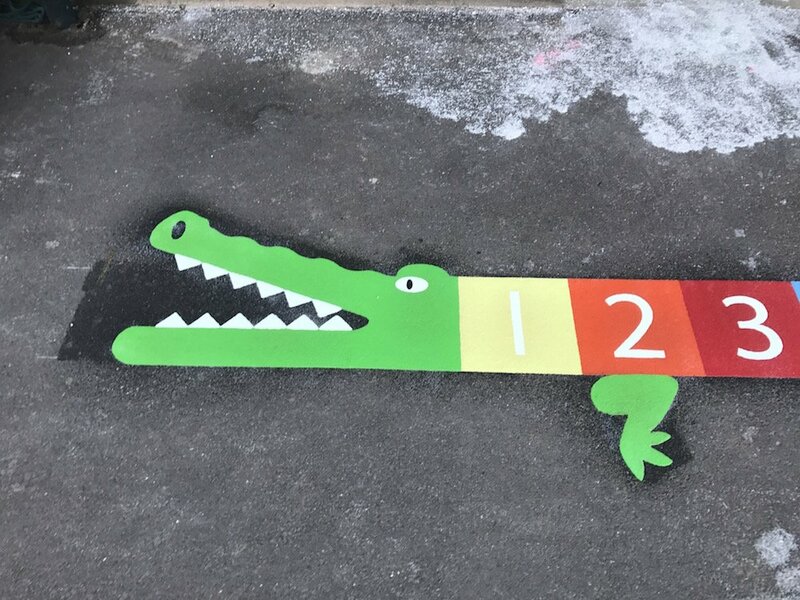 Firstly the team installed this 1-20 Crocodile. 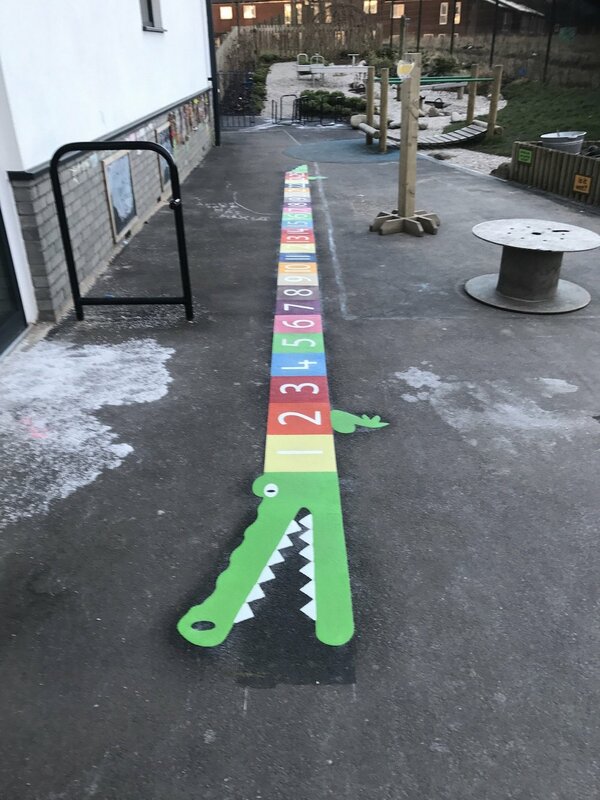 The 1-25 Crocodile is ideal for Key Stage 1 and Nursery playgrounds. 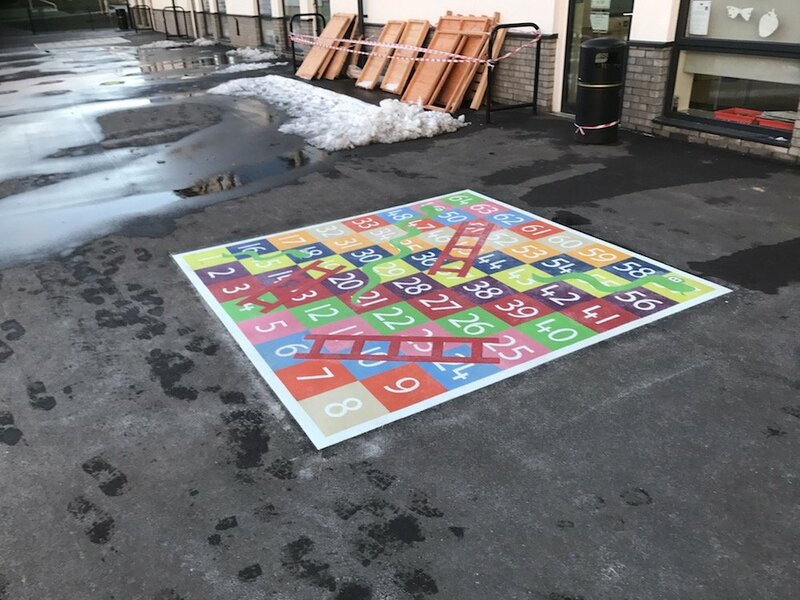 Next the team installed this 1-64 Snakes and Ladders. 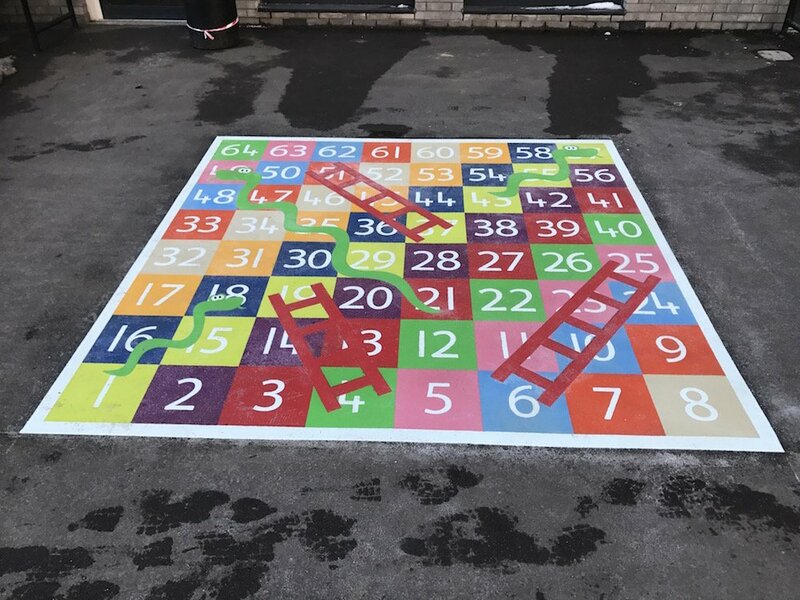 The 1-64 Snakes and Ladders is a great game for children of all ages. 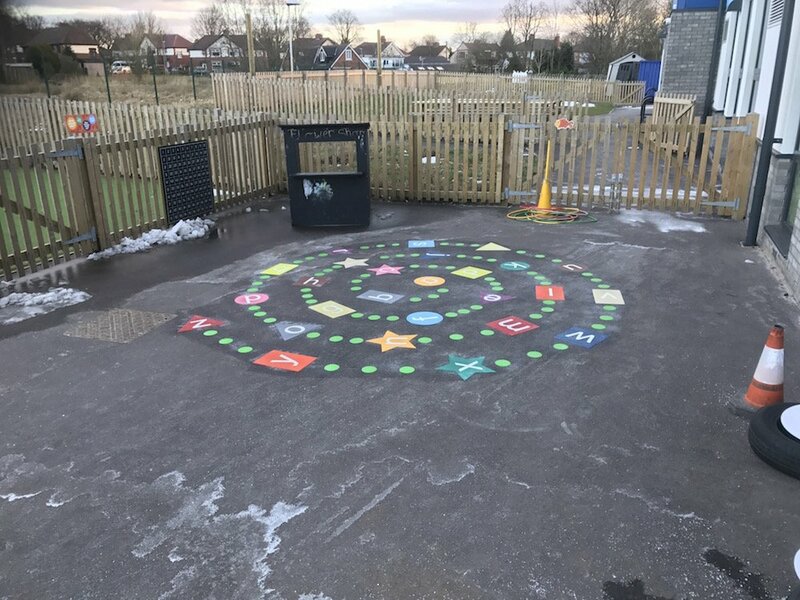 Lastly we installed this A-Z Spiral. 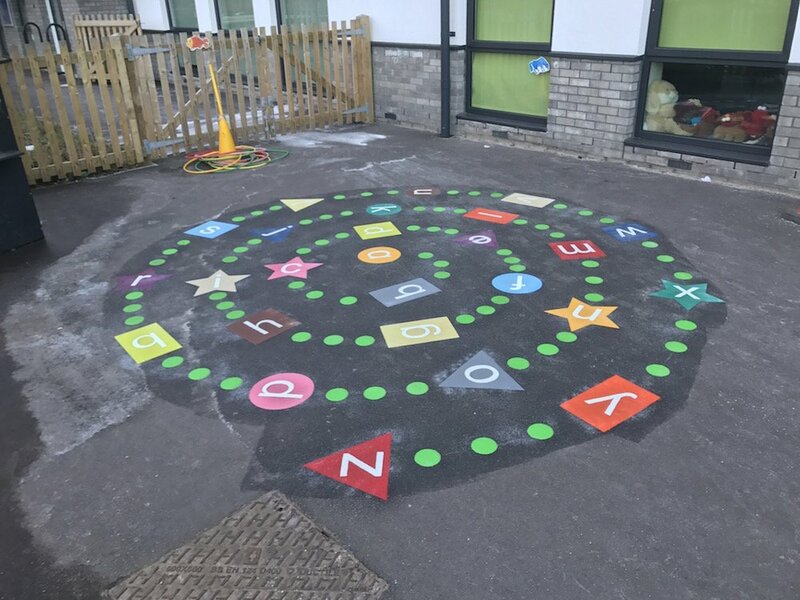 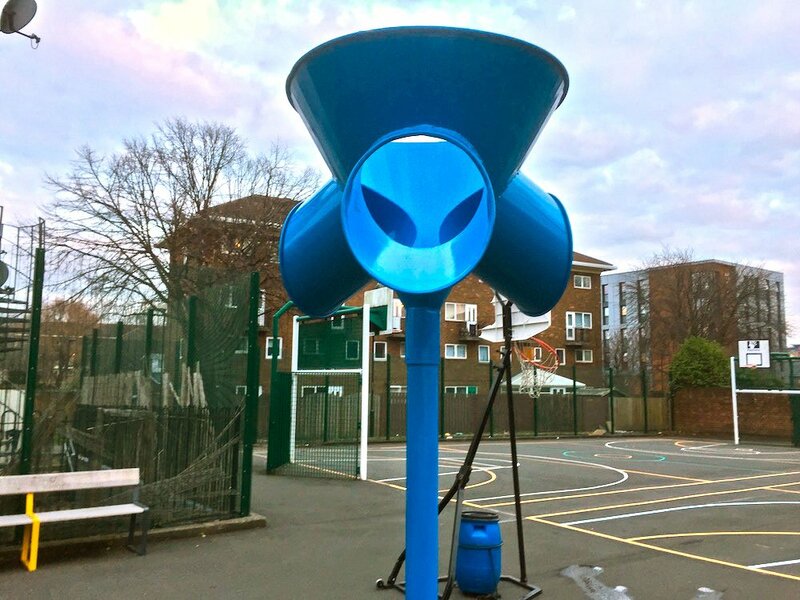 The A-Z Spiral is a great game as it creates an opportunity for young children to exercise while learning the alphabet.